Home » Shemesh News » SA BLOG: Can new filling machines boost your bottom line? 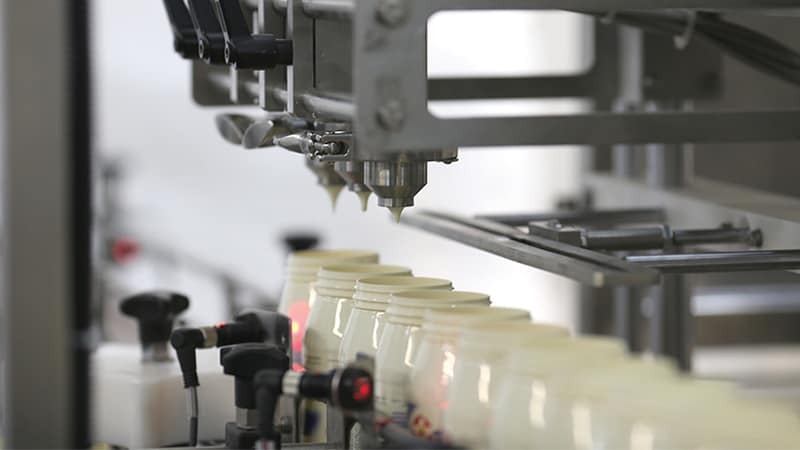 Can new filling machines boost your bottom line? After working with global manufacturers for over 25 years, Shemesh Automation has developed its brand new Stratum in-line servo-driven filler to provide the most flexible, accurate and economical filling solution the industry has seen to date. When it comes to manufacturing, margins can depend heavily on how well the chosen system minimises waste and maximises efficiency. Many millions have been lost to inefficient, wasteful and downright unsuitable filling machines, which drag down the productivity of the entire product line. Do you have problems with foaming? The filling of carbonated drinks, or detergents for example can ‘foam up’ using traditional filling methods, resulting in immense waste. SA’s Stratum uses a proprietary diving nozzles design for ‘bottom up’ filling. This, combined with its programmable portioning speed graph both eliminates foaming and dripping – keeping waste to a minimum. Are the manual operating costs of your filler too high? The fully automatic Stratum machine requires zero employees to operate the line. Does a lack of filling accuracy cost you money? Does your filler play havoc with your utility bills? The Stratum has servo driven piston technology at each filling station, which significantly lowers utilities consumption and reducing costs while boosting portioning accuracy levels. Are you losing valuable production time to maintenance and change-overs? The Stratum’s tools-free changeover takes less than 20 minutes, while its quick and easy automatic cleaning mode saves you valuable production time. Problems dealing with different viscosities? If you produce products at different temperatures or viscosities, say tomato sauce and peanut butter, in the past you may have had to use two different machines or even worse, compromised on a single machine that was ill-equipped to deal with such variances. Like an ill-fitting suit, this isn’t a good ‘look’ and in the end, something would have to give. The Stratum, however, is easily adjusted to fill various product dimensions with a high range of viscosities and applicable for hot liquids, up to 95° Celsius, leaving you to focus on creating the best products without compromise. The family-owned ethos at Shemesh Automation means we pride ourselves on working with our customers to provide solutions that fit them like a glove. This means, if you want to grow your production line, or automate other parts of your process, SA will have a solution for you – whether its filling, sealing, capping or labelling. SA’s fully-automatic and semi-automatic dosers & fillers for liquid can expertly handle a vast range of viscosities from water to peanut butter. Along with the rest of the Shemesh portfolio, they have adding value for our world-renowned list of clients in the food, cosmetics and chemicals industries since 1990. Throughputs are offered in the 1,000 -12,000 pph range and you can rest assured that strict waste management, minimum downtime, space-efficient design, safety, product protection, operational flexibility and long-term reliability are in the core DNA of our product portfolio and engineering mindset. Find out more about our STRATUM Liquid filler here. For more information, private message me on LinkedIn, or contact me via shai.shemeshautomation.com.